The Korean Game Rating Board has rated Super Bomberman R for PlayStation 4, indicating that the Konami-developed title is coming to the Sony console. As you may know, Super Bomberman R first launched back in March of last year, exclusively for the Nintendo Switch, a platform it has remained exclusive for. 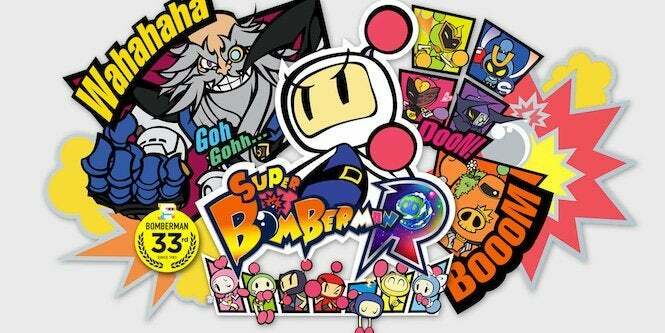 At launch, Super Bomberman R was greeted with mostly lukewarm to bad reviews. However, mixed reviews weren't enough to stop it from selling 39,609 copies in its first week in Japan, which is the highest first-week sales for the series since Bomberman World in 1998 (which sold 76,801 copies at the time). As of April 2017, it has shipped 500,000 copies worldwide, a number that was undoubtedly helped by its nature as a Switch launch title. It's important to note that a PlayStation 4 version of the game has yet to be announced, and thus it's best to take this rating with a grain of salt in the meantime. The series of Super Bomberman began back in 1983, and has produced a whopping 70 different games across a variety of platforms, including PlayStation ones. As for Super Bomberman R, it is available on the Nintendo Switch at the price-point of $49.99 USD. Gamers now have access to four new stages for battle mode and two new series of accessories for free.